INDUSTRY.co.id - JAKARTA - A housewife named Masitoh (47) has a bad luck. The purpose of the heart to seek justice for the case that happened to him now turned he was instead appointed as a suspect with allegations of alleged defamation and slander through electronic media by the Jakarta Police Special Criminal Investigation Directorate. The decision was only strongly protested from both Masitoh and his legal advisor Christ Butar-blind. One of the reasons is the report to the police by the reporter, namely the Commissioner of PT Senapati, Anak Agung Gde Wisnu Wardhana, who only ordered WhatsApp. Masitoh's attorney, Chris Butarbutar, said that the determination of the suspect was very premature. 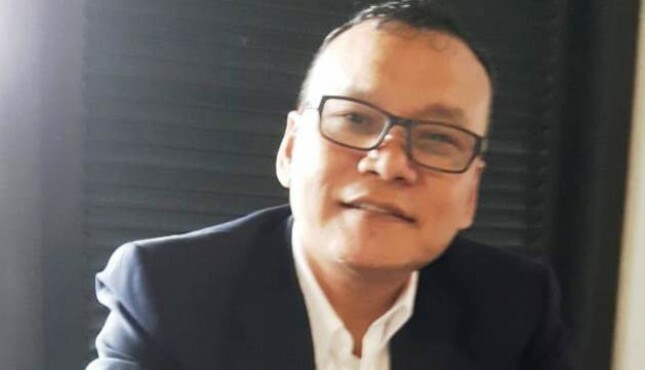 He explained that WA's message sent to the company secretary named Arni was to deliver the press release material to be delivered to Masitoh's husband, Haminanto Adinugraha, who was also the commissioner of the company. "It was a message through WA and the second was a press release release that had not yet become news. The message was clear to be conveyed to Mr. Haminanto. So to make the suspect unfounded," Chris said in Jakarta on Thursday (09/27/2018). Chris continued his client was examined on Wednesday. He also questioned investigators which sentence in the press release defamed the company. "All legal facts of the efforts of Masitoh's mother in pursuing their property rights include shares in the company," he added. Masitoh suspected that the motive of this report was related to shares in three companies namely PT Insight Investment, PT Senapati and PT Insight Investment Management. Masitoh said the majority of shares are owned by husbands. Then the shares were transferred to third parties without the consent of their clients in 2016. "They are afraid that the shares they received from Haminanto are illegal because they are still being disputed by Masitoh's mother as his wife," Christ said. While Masitoh said he was disappointed. He did not accept being named as a suspect. WA's message delivered to Arni was all a fact. "All the facts, I did not receive and there was no distribution to other parties," he said. "What is certain is that I object that only WA has become a suspect and I ask which point the investigator has questioned also does not want to explain. I was only called BAP once and then immediately made a suspect," complained Masitoh. In fact, to the investigator he once asked which point was considered to be defamatory. However, he said, investigators were not consistent in explaining it. "Initially he said, there was my statement in the press release stating that I as a lawyer had sent a letter to the OJK to supervise PT Insight Investment Management to avoid substantial losses to the community. However, other investigators said, looking at the draft as a whole "They are inconsistent," he explained. What made him even more sad was that he had twice won a pretrial over Masitoh's reporting to his ex-husband regarding a domestic violence case which was SP3 by the South Jakarta Metro Police some time ago. Send WA personally, "said Chris Butarbutar.